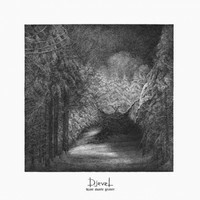 Blazing through the underground, Norwegian black metallers Djevel continues to lead their way through the old-school format as the traditionally-minded group heads out into the same fields and patterns normally reserved to the old-school ways which befit the band members collective experience. While the ravenous old-school tendency carried throughout here is the main problem associated with it, there’s little else that really strikes as being detrimental enough to allow this one to be of quite significant interest to any fan or interested party in second-wave Norwegian black metal. Ltd. white vinyl in gatefold sleeve.